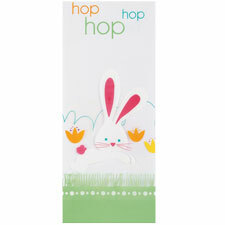 Easter treats printed bags, perfect for cookie treats. Cute bunnies, chicks and flowers make a sweet presentation. 20 plastic bags, 20 ties included. 4 x 9.5 in.